This book investigates extreme sports, defined as sports in which athletes challenge and transgress societal perceptions of what is humanly possible to achieve, in terms of physical training and bodily development/performance. Situated within a growing body of literature analysing the impact of new training trends on an individual’s body, identity, lifestyle and perception of his/her social surroundings, Extreme Sports, Extreme Bodies focuses on the gendered and embodied experiences of bodybuilding, Ironman triathlon, and mixed martial arts. 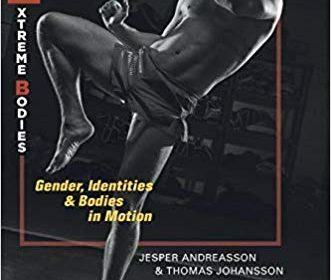 Through their ethnographic analysis, Andreasson and Johansson present a unique and updated account of the increasing phenomenon of extreme sports and extreme bodies in contemporary Western society, grounded in the sociology of sport, body studies and embodiment literature.